I can’t say that I’ve ever wanted to become a cat myself, but now that I’ve taken my first glimpse into what Cattails is, I can’t help but think that the idea of being a cat wouldn’t be too bad. Cattails is a game that’s being developed by Falcon Studios which was started by a husband-and-wife team solely for this project. 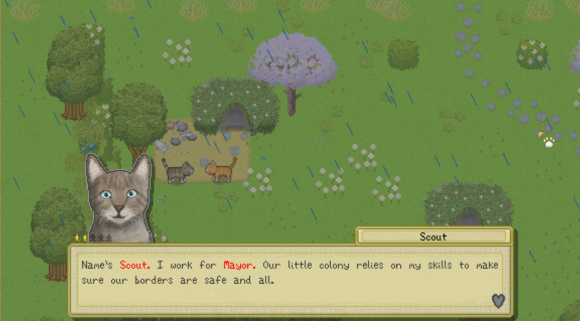 This “Open-world Cat & Wildlife Simulation” game was recently funded, and as of now has gained more than six times the meager $3,210 goal. 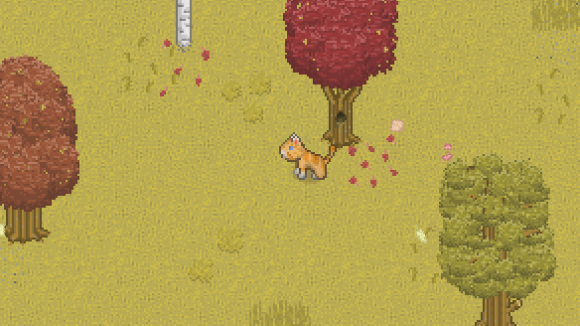 In this game, “the player takes the role of a feral cat that roams an expansive open land.” Even at this stage of development, there are so many engrossing features and ideas being implemented. From hunting mice to survive, to fighting other colonies of cats for control over territory, to the immersive environments, music, and exploration; every single mechanic has in-depth functionality that makes this game so unique. I’ve always wanted to get married with video game cats. Maybe I’ll even start a lil’ kitten family! I’m not the only one, right? Either way, this type of “Pick-Up-and-Play” game hits my soft spot and has a lot of potential to grow. 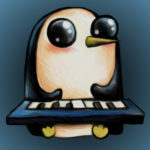 So, as of right now, Cattails is on Steam Greenlight. I encourage going over and giving the game a vote. If you want to sample the beautiful OST by Tormod Garvin, back this project, and/or learn more about Cattails, you can visit the Kickstarter campaign here or go to the official Cattails website here.